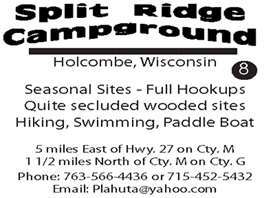 Visit Beautiful Lake Holcombe, Wisconsin! 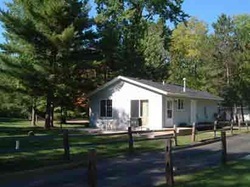 If you're looking for a place to camp, a cabin or a room Lake Holcombe has it for you. Area resorts offer a wide range of options for suitable campgrounds and lodging for the family or for an adult getaway ranging from rogue campsites to cushioned getaways. Beautifully renovated cabins with a kitchenette, two bedrooms, living area and screened porch with magnificent views of Lake Holcombe. Each cabin has its own private dock and boat landing. The perfect hide-away right on the main lake! Extra-large sites can be rented by the day, weekend, month or seasonally. Cabins are available for rental as well! The Flambeau is a great location for accessing fishing, paddling or floating on tubes with friends. islebayresort@yahoo.comLocated at the head of a large channel to the main lake, this beautiful resort's location offers the unique experience of a quiet summer on a sleepy lake with a safe place for the kids to swim right off the dock with all the action of the main lake just steps away. Cozy 2 bedroom cabins sleep four and come fully furnished with kitchen, bedding and towels and bathroom with shower. Tucked between a small pond for child-safe swimming and paddling and the greater flowage for boating, fishing and skiing this Resort is a real gem. Cottages, cabins and houses for rent for the perfect vacation! 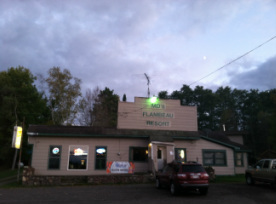 Uniquely located at the headwaters of Lake Holcombe, where the famous Chippewa and Flambeau Rivers merge, Flater's Resort is a Northwoods Paradise. Cabins and camping available. On-site fishing guide service available. With the tavern dating far back in Lake Holcombe history, MD's is truly a Lake Holcombe landmark that is well-loved by locals and travelers. The tavern is easily accessible by boat. Whether traveling by car or boat this is a gorgeous must-see scenic tour. Paradise Shores hotel, restaurant and lounge is located on the main lake with beautifully manicured lawns and landscaping, making this one of the most enjoyable places to visit or to spend your next vacation.